What's it like to work as a doctor with a non-Expert Interpreter, with an Expert one, and finally with an Expert one but by telephone? The following first-hand description by a doctor working in up-country Honduras is both instructive and amusing. I finally got the simple phrase “Por que estas aqui hoy?” down pat, but the answers sometimes surprised me. That is what my first patient of the day told me through a translator. He was 79 years old, a weather- beaten, wrinkled old caballero with a rusted six-shooter tucked into his waistband. Uh-oh. As far as I knew there were no psychiatrists available in the mountain villages of Honduras, and we had not thought to stock anti-depressant medicines in our traveling pharmacy. Hundreds more patients were lined up waiting to be seen. I had to solve this ominous problem somehow. My translator was a University of Virginia student who grew up speaking Spanish at home (her parents were Peruvian) and she was quite fluent. I had her translate the complaint several times and each time it was the same. His very first thought every morning was blowing his head off. And yet something didn’t quite fit. The patient did not appear depressed and in fact was grinning and seemed delighted with the close attention he was getting from the gringo medico. I was missing something. I needed more than a translator. I needed an interpreter. I called Pedro over. Pedro was a native of Honduras and our local fixer. If anyone could help, it was Pedro. He seemed to know everyone in Honduras and could talk to anyone. I asked Pedro to ask my ancient cowboy why he had come. “He has a headache,” Pedro told me. Pedro and the patient chuckled. Verbal translating and interpreting are closely related but sometimes critically different skills. Translating is generally word-for-word verbatim relaying from one (source) language into another (target) language. Interpreting is more likely to be paraphrasing what each speaker is saying. When done well, interpreting is more accurate than translating, but it requires a deeper fluency in both languages compared to translating, which requires less fluency in the source language, in this case Spanish. When trying to understand complex medical and social issues, especially in the time-pressured ER [emergency room], interpreters are more helpful than translators, who are more widely available. Early in my career, non-English speakers were not common [as patients] in the ER and interpreting services in the hospital were not available. We improvised when language barriers arose. Spanish speakers could usually be found among the ancillary staff. Once when faced with a patient who spoke only Chinese, our triage nurse called the local Chinese restaurant and used the waiter to translate. Of course this is not HIPAA [US Health Insurance Portability and Accountability Act] compliant, but the patient got the care he needed and we got General Tso’s chicken for lunch. Times have changed. Now we have instant access to certified medical interpreters in over 200 languages via a subscription service on our ER telephones"
The good doctor has his own non-standard terminology for translator vs. interpreter, but he makes it clear what he means. As for the term fixer, enter it in the Search box on the right to see other instances. I didn't expect to see it turn up in Honduras. The end of the doctor's story shows the way things are moving in medical interpreting. When no Expert Interpreter is available, you use who you can. But the advent of telephone interpreting, despite its limitations, is bringing Expert Interpreters to remote places. "Telephone Interpreting is the fastest growing modality of community interpreting," claims the website of the International Medical Interpreters Association. Give it another 20 years to become quasi-universal. Dr. Robert C. Reiser. Annals of medicine: lost in translation. The Crozet Gazette (Crozet, Virginia), 7 September 2013. For the full article, click here. Literacy brokering is a new term from America that's relevant to Natural Translation (NT) and is making its way in sociolinguistic circles. Making its way? Well, 729 Google hits at the time of this writing, which isn't much by Google standards. Nevertheless, it's among the topics listed in the call for papers for the Second International Conference on Non-professional Interpreting and Translation next year. Clearly it's derived from the older term language brokering (over 9,000 hits), so we should start from that. There have been many mentions of language brokering (LaB) on this blog: just enter language brokering in the Search box on the right. LaB is the translating done by bilingual children of immigrant families to help other family members, and sometimes other acquaintances like schoolmates, communicate with the wider community around them. Though it's a worldwide phenomenon, it's particularly associated with immigrant communities in the USA, especially the Hispanics, because that's where most of the research on it has been conducted. It was already a prominent topic at the First NPIT Conference last year (see References). Now literacy brokering comes along to make a finer distinction. The assumption up till recently was that the input the language brokers received was spoken. Most of it is, but there's nevertheless a significant part that's written. The people who receive it before the interpreter-broker intervenes can't understand it or react to it because they're illiterate in the language of their new country. Hence the LaB interpreter becomes more specifically a literacy broker. Furthermore, the written communications tend to be more formal and to require more explanation than spoken ones. There's a good page about literacy brokering in the latest edition of Educational Research. It summarises a research article by Kristen Perry of the University of Kentucky (see References). "Getting a permission slip from home is one example of the 'literacy brokering' that a child from an immigrant family engages in to help family members understand the unfamiliar texts and literary practices of their new home... Children, themselves often English Language Learners (ELLs), not only help families with language but also with unfamiliar texts such as coupons, sweepstakes tickets, crossword puzzles, phone books, etc.... The majority of brokering events observed by Perry revolved around responding to school-related texts. The schools that the children attended sent home many papers." The children are Natural Translators; they have had no training and receive none. Obviously the brokering can't begin until they're literate, say at around six years old, which is not necessarily the case with all Language Brokering. It also requires that they have more education and experience of the world around them. As usual with NT phenomena, sociolinguists and educationists are more interested in it than translatologists. I've told elsewhere on this blog the story of how one of my earliest encounters with Natural Translation was overhearing a young girl at the counter of a post office in Ottawa interpreting an official from English to Portuguese for her father (enter post office in the Search box). That was literacy brokering, but some 40 years before the term. Marjorie Faulstich Orellana. Dialoguing across differences: the past and future of language brokering research. Paper to First International Conference on Non-professional Interpretation and Translation, University of Bologna at Forli, 2012. To be published in the proceedings. ELL children act as 'literacy brokers' for parents. 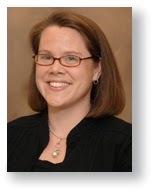 Educational Research Newsletter & Webinars, 2013. This is a summary of the following Perry article. To read it, click here. Kristen Perry. Genres, contexts, and literacy practices: literacy brokering among Sudanese refugee families. Reading Research Quarterly, vol. 44 (2013), no. 3, pp. 256-277. Abstract here. This is the conclusion of the immediately preceding post, which should be read first. The second interpreter was far more important historically. In 1645, Etienne de Lafond, recently arrived from France, married Marie Boucher. Marie was the younger sister of Pierre Boucher, who was already 13 years old when his parents left for New France about 1634. In his new abode, Pierre set about learning several Amerindian languages and became proficient enough to act as interpreter to the Jesuits for their missions to the Hurons, who were allies of the French. At that period he became a donné (dedicated servant) of the Jesuits and served them from 1637 to 1641. Then in 1640 he was seriously injured in one arm during a Huron revolt. 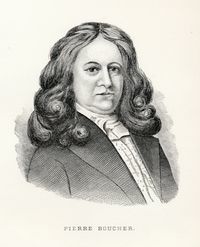 He withdrew to Quebec City, where the governor, Huault de Montmagny, appointed him to his personal staff as interpreter and as agent to Indian tribes. As such he took part in all the negotiations between the French and the Indians, an experience that was to be helpful to him for the rest of his life. In 1644, he was appointed interpreter of the fort at the settlement of Trois-Rivières (Three Rivers) on the St. Lawrence midway between Quebec City and Montreal. In particular he took a leading part in the important peace negotiations with the Iroquois chief Kiotseaeton the following year. He had become indispensable. From 1635 on he lived permanently at the township of Trois-Rivières. There he was elected captain of the militia, warded off an Iroquois attack and was later appointed governor. Among his achievements was an important early description of the colony printed in France (see References) and the honour of being the first of the colonisers to be granted titles of nobility. But the role for which he is best remembered today is as the founder of Boucherville, an important town on the St. Lawrence 20 km downstream from Montreal. It was in his manor-house at Boucherville that he died in 1715 at the age of 95. Between these two interpreters, we can see common elements. First their early multilingualism in French and several Amerindian languages. And then, the role of the Jesuits, adept at learning native languages in distant lands, who trained them as boys and gave them thorough practical experience by taking them with them on their voyages. They produced Expert Interpreters, experts not only in languages but also in cultures, commerce and politics. In June 1995, in the ice-hockey arena of the little village of Saint-Bruno-de-Guigues in northwestern Quebec – you can find it with Google Maps – I attended a reunion of 450 proven members of the Lafond family, come together from many parts of Canada and the United States. Part of the family had established itself at Guigues during another wave of colonisation around 1900. It follows from the above that they were all related by blood or marriage, however distantly, to the two 17th-century interpreters. Raymond Douville. Boucher, Pierre. Dictionary of Canadian Biography. The article is here. Pierre Boucher. L'histoire véritable et naturelle des mœurs et productions du pays de la Nouvelle-France, vulgairement dite le Canada. (The True Natural History of the Customs and Products of New France, Commonly Called Canada). Paris: Florentin Lambert, 1664. There’s a modern reprint advertised on Amazon, and also a paperback edition of an English translation with the title Canada in the Seventeenth Century: From the French of Pierre Boucher. Source: Dictionary of Canadian Biography. I bet not many of you can trace a translator in your family tree as far back as the 17th century, but I know a lady who can trace two of them with documented certainty. What's more, she knows of 450 other relatives, all documented. How so? Because of a feature of French Canadian (FC) society that is perhaps unique. Until the 'Quiet Revolution' of the 1960s, FC society was solidly Roman Catholic. Long before the start of modern government population records, all births, deaths and marriages in the community were meticulously recorded in the parish registers. It was so too in France, but there many of the records were destroyed or damaged in the period of the French Revolution and in wars. No such cataclysm affected the FC registers. Not even the British takeover in 1763, because the Brits, in order to win over the FC settlers, assured them they could go on practising their religion freely and they kept their promise. Eventually, in the 20th century, the parish records were microfilmed and consolidated into collections that have greatly facilitated genealogical research. When the Breton navigator Jacques Cartier discovered the St Lawrence river for the French in 1534-35, and with it the land that is now Quebec, he found native Indian peoples along its shores and he realised at once that he would need interpreters. After all, he'd been an occasional interpreter himself. So he tried to get some of his sailors and some Indians trained for the task, but it was a failure. This post, however, concerns a slightly later period. The French colonisation of the St. Lawrence valley, part of what they called Nouvelle-France (New France), didn't take place till the following century. The architect of the new colony, sent by the master strategist Richelieu, was an outstanding administrator named Samuel de Champlain. He founded Quebec City in 1608. He also appreciated the value of interpreting and set out to raise it to Professional Expert level. He created"an institution of resident interpreters (interprètes-résidents) in the new colony. Young French adventurers were placed with the Indian tribes with whom the French traded; they lived among the natives dressed like them, hunted, fished and took part in their everyday lives. Through daily contact with the Indians, the interpreters became familiar not only with their language but also with their way of thinking. They were highly effective intermediaries between the native population and the European settlers and merchants, serving as guides, explorers, diplomats and traders. But besides those professionals, most of the colonists had some contact with Indian languages and many of them were called on to interpret in daily dealings. Our story really begins when Etienne de Lafond emigrated to Canada in or about 1642. He came from the small village of Saint-Laurent-de-la-Barrière in the Saintonge region of western France (part of today's Charente-Maritime); you can find it with Google Maps. We don't know exactly why he left his native soil but Canada was then, as now, a land of opportunity. He was a carpenter, and since most of the French buildings in New France were of wood he had sure employment. He prospered and acquired a great deal of land. As a young man, Jean went on voyages with the [Jesuit] missionaries and he became involved in the fur trade with the Indians. It enabled him to learn several languages and to act as interpreter when required. Interestingly, Jean's second wife was a Huron Indian, Catherine Annenontha, who had been brought up as a Catholic by the Ursuline nuns at Quebec City. There weren't enough French women in the colony to go around. So he was the first of the two interpreters. 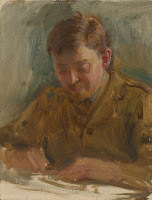 Florent J. Héroux. L'histoire généalogique des Familles Lafond, 1645-1995 (History and Genealogy of the Lafond Families). New Liskeard: Privately printed, 1995. The author of this admirable work of genealogical precision and documentation can be contacted at fherou@ntl.sympatico.ca. Jean Delisle and Judith Woodsworth. Translators through History, revised edition. Amsterdam: Benjamins, 2012. Jean is an expert on the history of interpreters in Nouvelle-France. It was from his early thesis (Les interprètes sous le régime français, 1534-1760, Université de Montréal, 1975) that I first learnt about them. 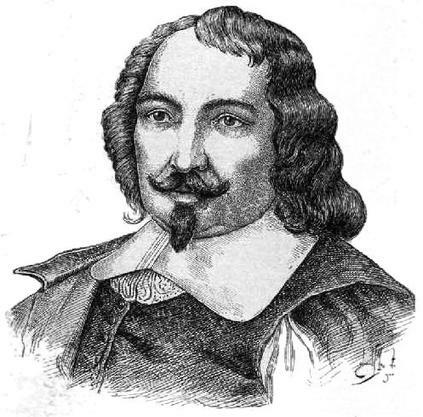 Samuel de Champlain. Source: Explorers Wiki. Since the sad news came last Friday that Seamus Heaney had died, the papers have been paying due tribute to him as a great Irish poet (Nobel Prize for Literature, 1995). But in none of the obits that I've read is there a mention of him as a great translator. Perhaps that's because people don't recognise one of his greatest works as a translation. But it is. Heaney's language of expression was English, not the Gaelic language Irish (aka Erse). That puts him in the lineage of great Irish writers who've left their mark on English literature: Swift, Wilde, Shaw, Joyce, Yeats, et al. Where would we be without them? So he was Irish in the geographical and ethnographic senses. I was a little surprised to learn that he was born and brought up in Northern Ireland (aka Ulster), "a humble Bellaghy man", since he lived in Dublin and I tend to associate Irish culture with that city and with the south. But then to Irish nationalists it's all one Ireland. His great achievement as a translator is his Modern English version of Beowulf. Beowulf, in case you're not familiar with it, is a poetic saga set in Scandinavia, and it's one of the most important works of Anglo-Saxon literature. Beowulf is an epic hero who defeats the monster Grendel in combat. The poem was composed by an anonymous Anglo-Saxon poet some time between the 8th and early 11th centuries, and it's written in the West Saxon dialect of Old English. And it's in that language name Old English that lies the misunderstanding about translation. The Germanic language Old English (aka Anglo-Saxon) was the principal ancestor of Modern English. Indeed when I was at school, our compendium of English literature began with a page from Beowulf. But then came "1066 and all that", i.e., the Norman invasion from France, and English changed radically. So much so that we struggled with our page of Beowulf at school and it was unintelligible to us without the help of a glossary and a literal translation provided by our teacher. Look at the image that heads this post and see if you can make it out. Old English and Modern English are so different that they should be considered as two languages. If people want to consider them as a single language, then we are still left with what the theorists call an intralingual translation, i.e., a translation within the same language. Anyway, technicalities aside, not until Heaney and the publication of his 1999 rendition did I forget the schoolbook exercise and thrill to Beowulf, as did many others. D. M. Thomas wrote in the Toronto Globe and Mail, "Looking back, I wish I had been able to read a translation like Heaney's. It has persuaded me that the poem is indeed a masterpiece." Here's a sample. Notice how cleverly he preserves and exploits one of the outstanding features of Anglo-Saxon poetry: the internal alliteration between each half-line (e.g., Men climbed eagerly up the gangplank) and does so without straining the vocabulary. This in itself is an achievement. It's a device that gives an urgent spring to the rhythm. away with will in the wood-wreathed ship. Beowulf. Wikipedia. Click here. This is a full article that among other things traces the earlier Modern English translations since 1805 as well as the lucky survival of the single extant source manuscript. Beowulf. Translated by Seamus Heaney, 1999. There are several editions on offer, including a bilingual one. The Look Inside! feature of the Amazon website here can give you a free taste of it. 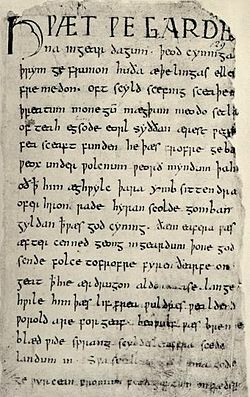 First page of the Nowell Codex, the only surviving manuscript. Source: Wikipedia. Since writing the above, I've seen some obits that do mention Heaney's translations, and not only the universally admired Beowulf. The Boston Globe of August 31, for example, mentions The Cure at Troy, a play based on Sophocles’ Philoctetes and Sophocles’ Oedipus at Colonus. Perhaps he also earned the right to embrace a greater truth about living in the final moments of his life, and deliver to us one final message that rings true within our own better nature. Whatever you might believe, Seamus Heaney was a poet to the end. Let us take from his example a little courage, and a little Latin.